Samsung has packed 1.6 GHz Quad-core Cortex-A15 & 1.2GHz Quad-core Cortex A7 processor in it to make it a good performer. Delivering productive multitasking with its 2 GB RAM, this phone is a true performer. On its 4.99 inch screen, the display resolution is 1920*1080 pixels. With 441 ppi pixel density, the screen looks more life-like. It has physical dimension of 136.6 mm X 69.8 mm X 7.9 mm. It features about 16/32/64 GB storage as its internal memory. On the back is located a 13 megapixel camera. On the front side, there is 2mp, 1080p video recording camera also. Sorry, The price of Samsung Galaxy S4 is not available at the moment. Our team is keeping an eye on online stores to get you the latest price as soon as available. It\'s the best handset available in market. I wished for a dual-sim s4 variant in India, though. In China, they\'ve launched dual sim model, why not in India? 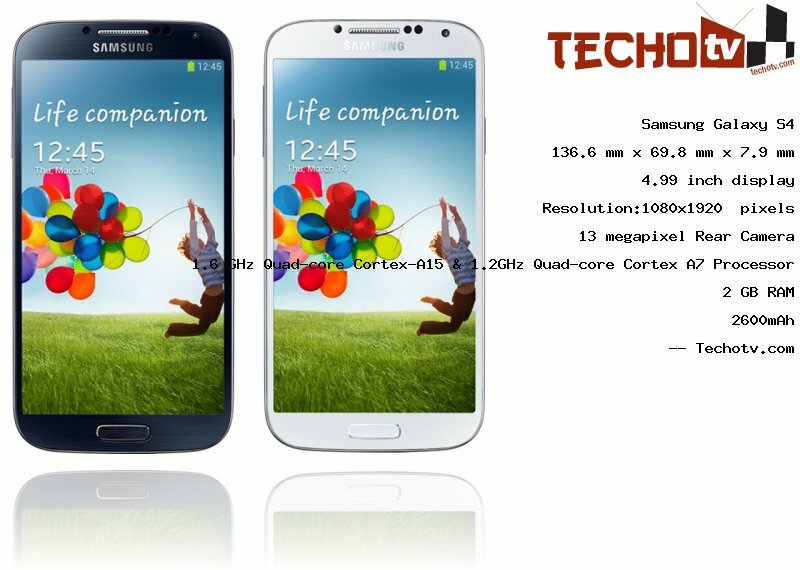 Cons - Design : Its design is similar to other galaxy phones from Samsung. It\'s hard for others to know which handset you\'re holding just from the looks..